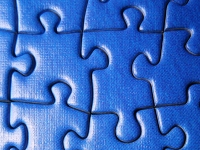 Rather belatedly... the solution to Puzzle #5 was posted a few days ago. Puzzle #6 is now also available. Primarily you should do it (ed: programming) because you love it, because it's fun -- because it's wonderful to create machines with your mind. Hugely empowering. Emotionally gratifying. Software is math-in-motion. It's a miracle of the mind. And if you can do it, really well, there's absolutely nothing like it. The solution to Programming Puzzle #4 has been posted, and you can also find a new puzzle added here. I'm not a programmer, so when my kid asked me to make an elevator in the stickman game I totally failed. I can get the platform to move up and down, but when the elevator starts going up with the stickman on it, hilarity ensues. I guess at the end of the day i'm asking how this can be done. Thanks for your time. I'm not surprised you found it difficult. It caused a fair amount of head scratching until I realised the trick to getting this working. If you used the code for the horizontal platforms in PythonForKidsSolutions.pdf as the basis for your elevator, your stick figure probably slips through the platform as soon as he touches it (or potentially rockets off up the screen depending upon your code). The elevator moves at a different speed to the stick figure, so you need to match that speed when the figure lands on the platform - and you can't rely on the basic collision detection code as it's written in that example. A new programming puzzle, for this, has been added to the puzzles page - check back in a week or two for the full solution. The solution to Programming Puzzle 2 has just been added to the puzzle's page, and challenge number 3 has been posted. I finally managed to find enough bits-and-pieces to get a Raspberry Pi (borrowed from a friend - thanks Matt!) 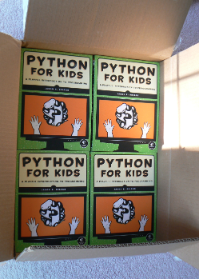 up and running, in order to test out the code from Python for Kids. A USB charger for an old Nokia phone, a somewhat dodgy-looking USB power adaptor from the bottom of a cobweb-filled box in the back room, a wireless mouse (the base for which had managed to hide itself on the opposite side of the house), a bent network cable (surprisingly still functional), and a powerline adaptor scavenged from the TV. In the end the only thing missing was a USB keyboard, which finally arrived in the mail this morning. 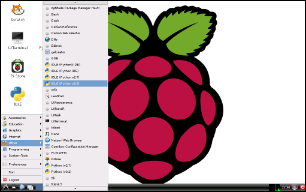 It looks like all the code works fine, and Python3 is installed by default on the Raspbian operating system, so there's not a lot required to install out of the box. There is one thing to be aware of - do not use the IDLE3 icon which is on the desktop by default (at least not when you're running the graphics code in the book). Instead, go to the Other menu, and choose IDLE (Python 3.2) (click on the screenshot to see what you should be looking for). This runs IDLE in "No subprocess" mode, so modules such as turtle will run correctly. After installation, you'll find a new menu option in the Graphics menu: GNU Image Manipulation Program. That should be all you need to get started with the Raspberry Pi. My author copies arrived from No Starch today - the culmination of two years of not-an-inconsequential amount of effort. If you happen to have ordered a copy, here's hoping it arrives in time to stuff the Christmas stocking. A new programming puzzle has been added today. This one is a bit more difficult than the last - the actual solution isn't all that complicated, but it does require a bit of lateral thinking. 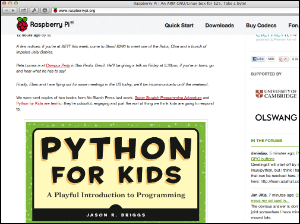 Back in 2006, author David Brin lamented the lack of a good way to get kids into programming (Brin's article was actually my impetus to start writing an e-book for teaching small humans to code): Why Johnny can't code. John Naughton thinks kids should be taught to code in school. Given what is taught at the moment in UK schools for ICT, this isn't a bad idea: Why Kids Should Be Taught Code. Dan Rowinski, of ReadWriteWeb, writes about a movement forming in the programming community around the idea of a new standard of literacy: Computer Programming for All: A New Standard of Literacy. Matthew Murray, of ExtremeTech, has a few doubts, and thinks there needs to be more focus on the basics (imagination, logic, reasoning, and problem solving): Should Kids Learn To Code? Jeff Atwood (also linked in the RWW article) thinks that you should learn to code for the right reasons, or else focus on more important skills: Please don't learn to code.